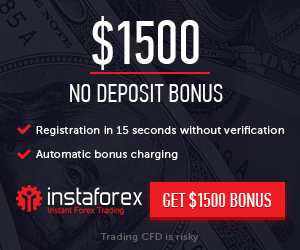 Bonus : $100 No-Deposit Bonus from Kirik Markets. 1. Register a new account using the form online. Withdraw : Yes, But Need to trade the require of trading lots. you have to trade with only small lot that is 0.01. Withdrawal would be available only after 200 usd. This is limited promotional offer it can closed at any time without intimation. Minimum 10 trades has to be there in month.